BlogHome » The Seven Year Itch….. It was seven years and ten months ago when we received our first B&B guests after a period of intense renovation of The Old Bakery. 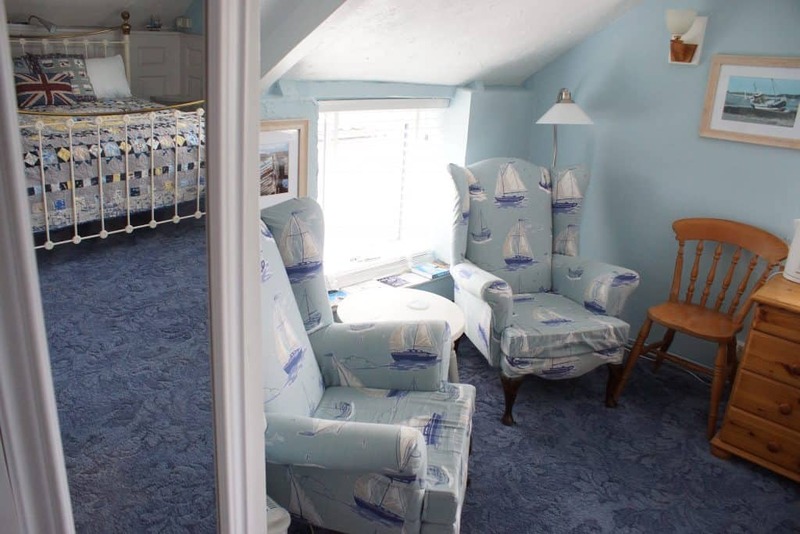 At that time we had only created & set up the Baker’s Room and general guest areas whilst the Holiday Cottage and the Miller’s room would require a major amount of work before they could be on line. It was actually way back in February 2017 that we first got the seven year itch for a change, not in what we are doing with our lives but more with regards to the decor & ‘look’ of The Baker’s Room itself. Like me this room was showing signs of it’s age but sadly, unlike me, a bit of TLC, a lick of paint and a bit of re-upholstery was all it really needed to breath a new lease of life into it. The Baker’s Room has a great loyalty among our guests who make a point of asking for ‘The Blue Room’ or after returning to us several times it becomes “our room” and so messing with its current decor too much could have caused trouble in the ranks! Therefore the task in hand was to spruce the room up whilst maintaining the character that our guests have come to love so much. 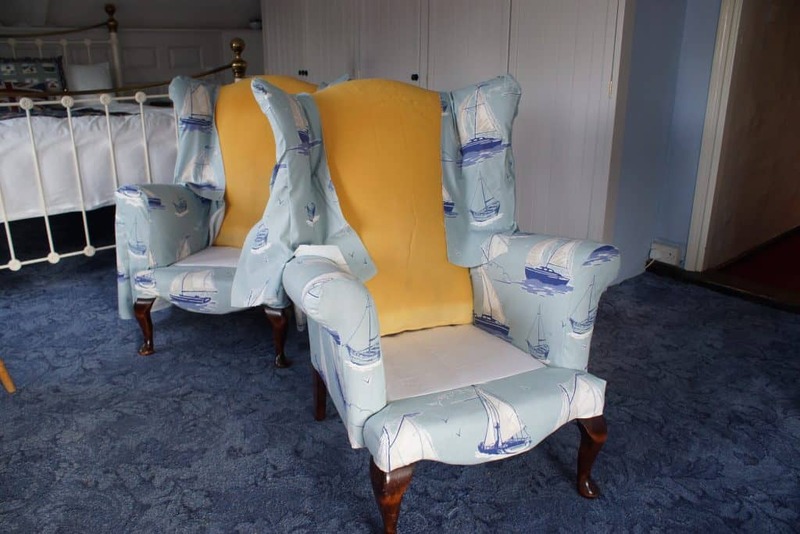 We started in February 2017 by re-upholstering the armchairs a task with which we pulled in Radio 2’s Steve Wright to help our morale as described in our blog ‘Steve Wright, tired armchairs, Chocolates and Roses too….’ . Later on in 2017 we replaced all the old windows with double glazed units and Alison started work on a patchwork quilt for the bed as it was the only Super-king size bed not to have one. 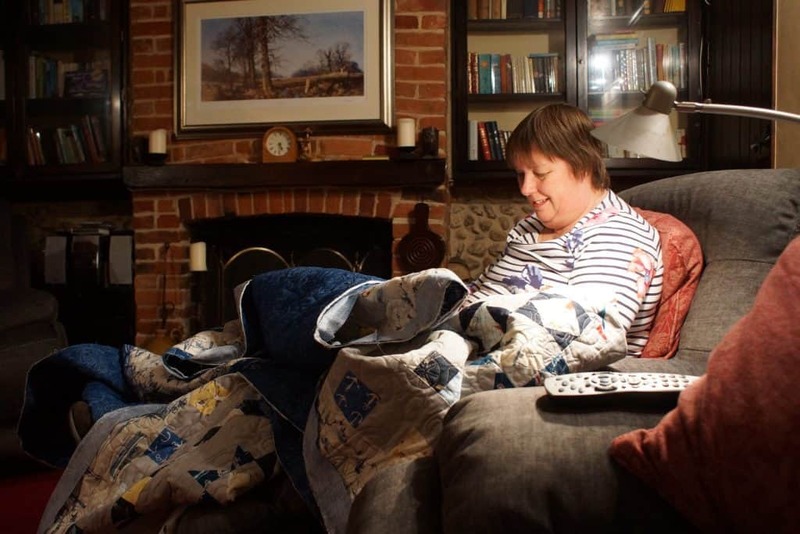 All the patchwork quilts are made by Alison, by hand and so take many, many hours. They are a work of art and frankly priceless, actually more a labour of love than work but it would be some time before this one would be ready for The Baker’s Room. We then had a full on summer and Christmas season and so our next refurbishment session was not until the New Year of 2018 when we set about carrying out repairs and repainting the room throughout. We could then dress the room adding new Venetian blinds, reading lamps (one for each armchair), a new totally silent fridge, new full length mirror and hung a few of Mike’s photos around the walls. The whole room feels fresher, updated and very contemporary but most importantly we strongly feel that we have totally retained the fundamental feel to the room that our guests so love. 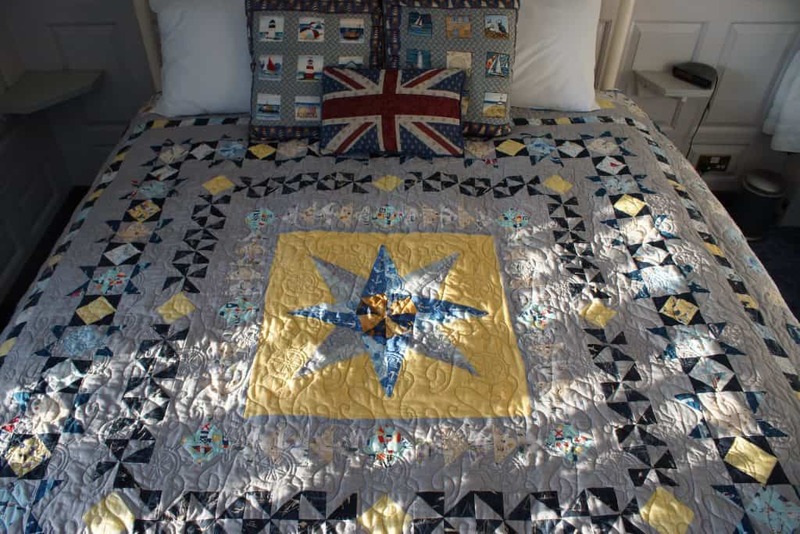 The last addition and the finishing touch was when Alison completed her wonderful patchwork quilt. 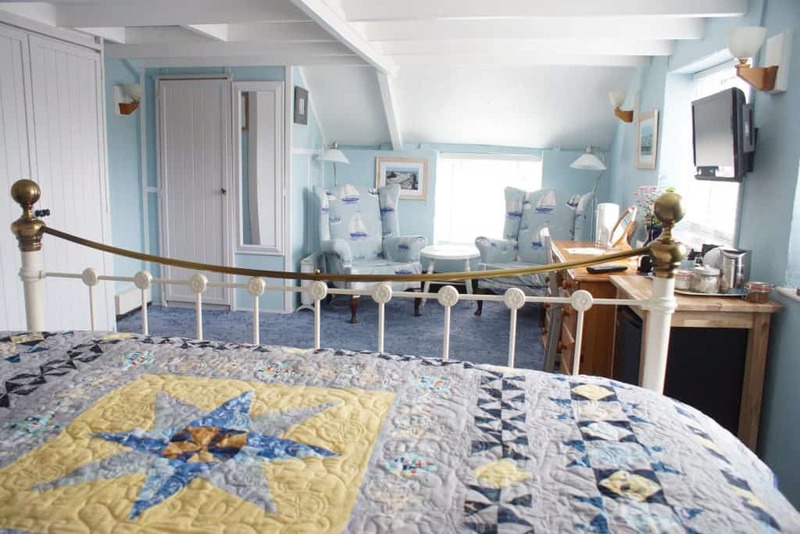 The room has been designed with a nautical twist and so Alison’s quilt was designed to complement this theme. She measured, cut and sewed together, by hand, some 1,600 individual pieces of material taking over 100 hours to create it. 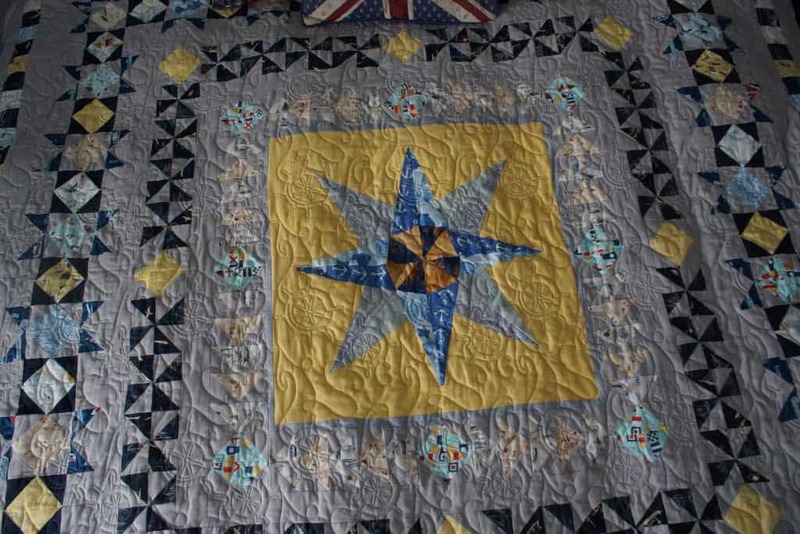 The most recently completed quilt is normally her favourite and this one really is a stunner. So here we have it Alison’s latest patchwork quilt followed by several photos of the ‘New’ room. 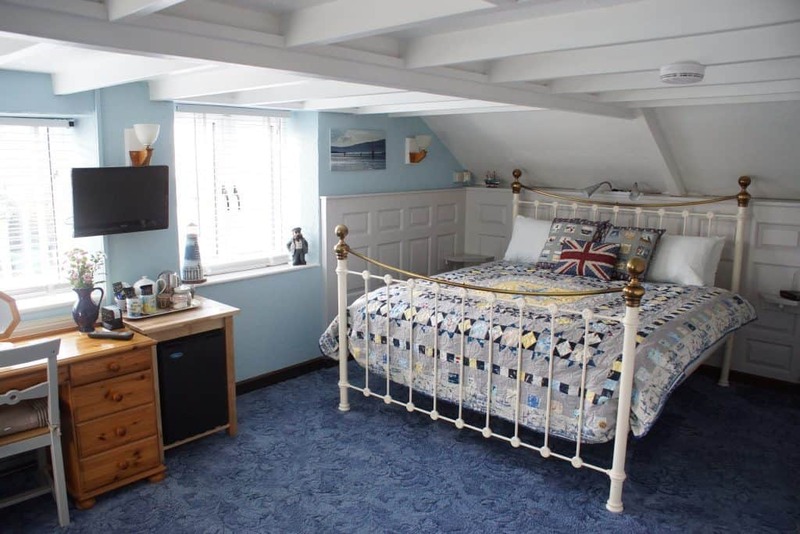 If you would like to see the availability of The Baker’s Room or indeed our other B&B room and our Self Catering Cottage, ‘The Bakehouse’ then click here to see the availability & prices and to book on line (no booking fee).